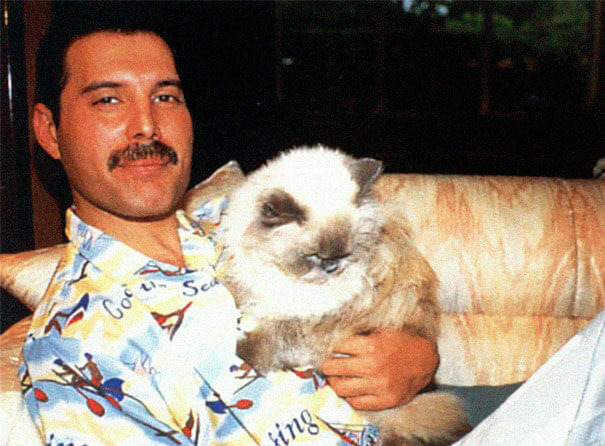 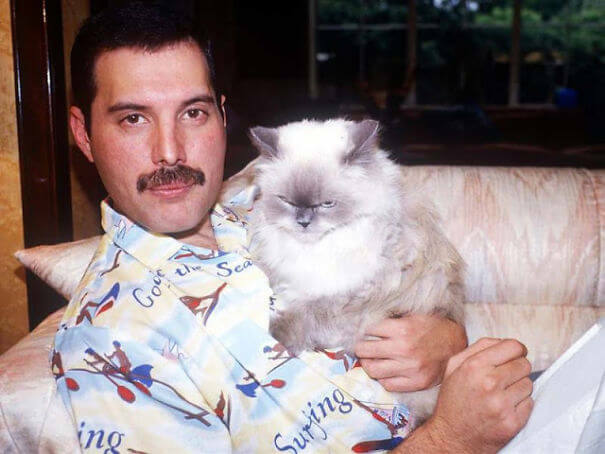 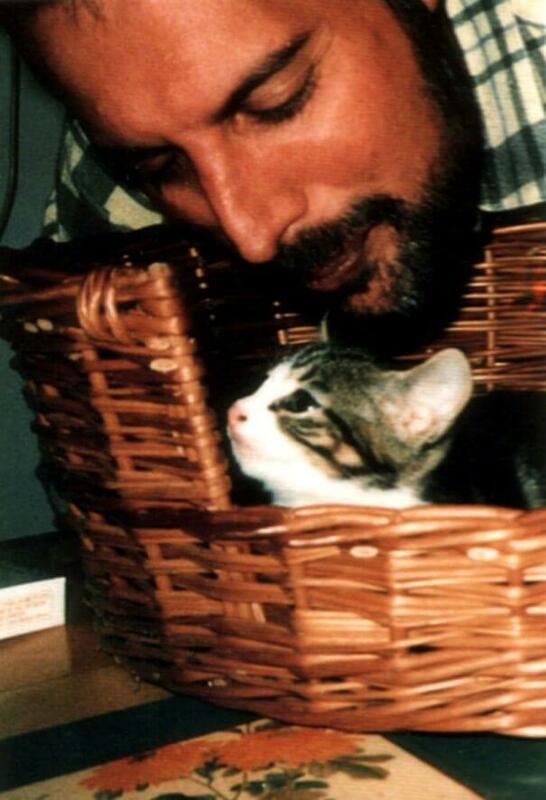 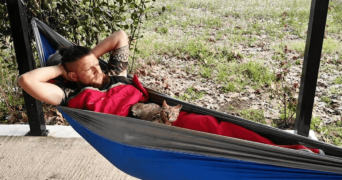 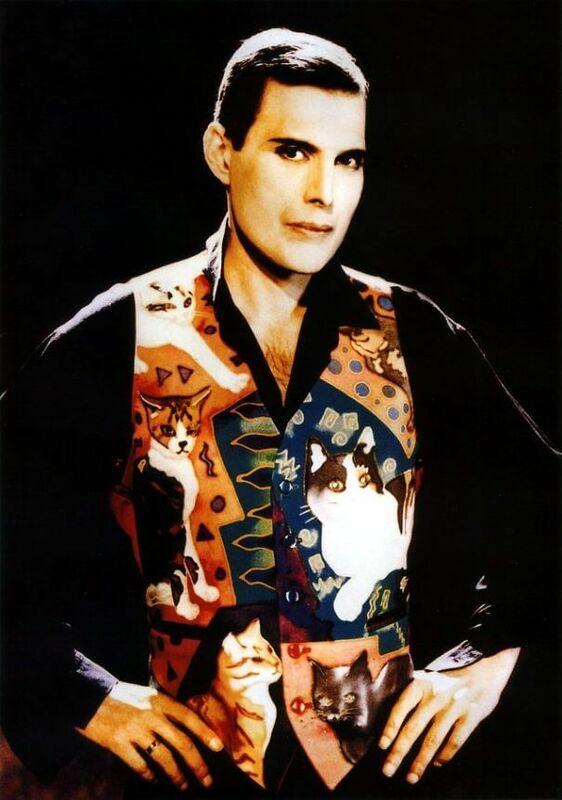 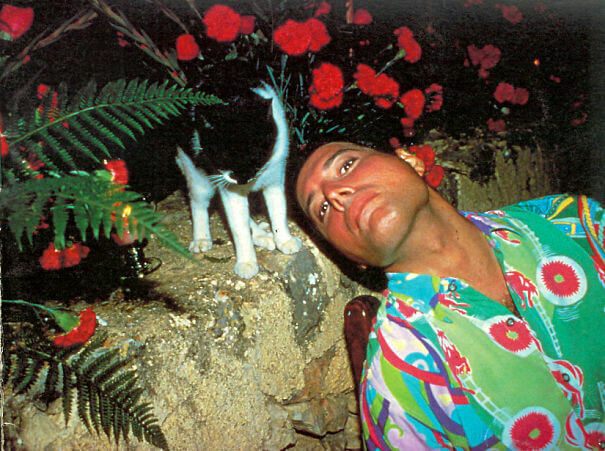 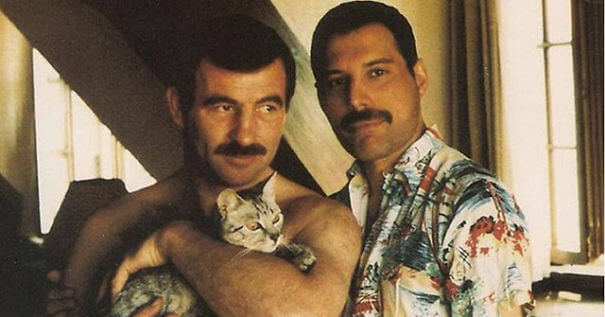 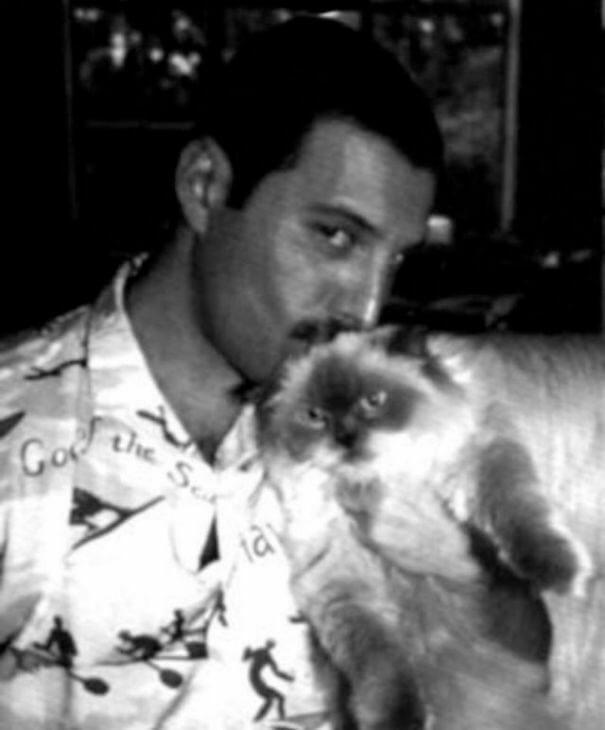 If you’re a big fan of Freddie Mercury, you probably already know that the rock star, aka “the Ultimate Cat Guy” loved his furry friends too much. 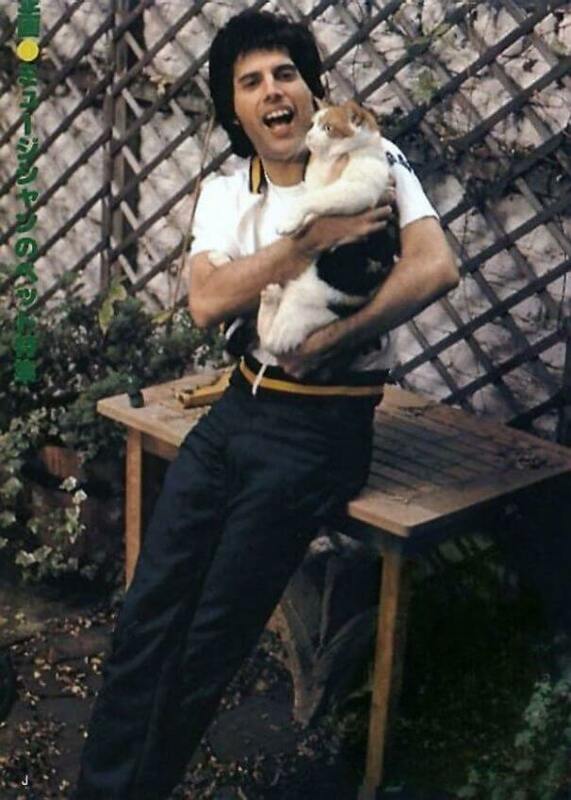 In fact, he even wrote a song for his cat Delilah! 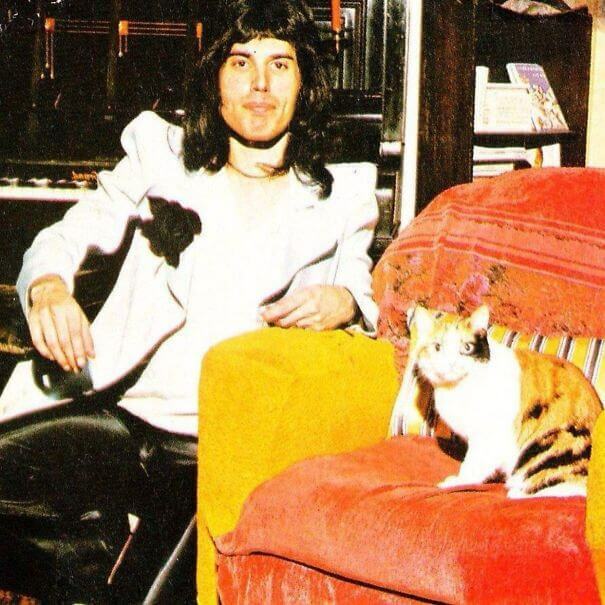 His love for cats begun in 1970 when his girlfriend Mary Austin moved in with him and brought along a pair of cats named Tom and Jerry. 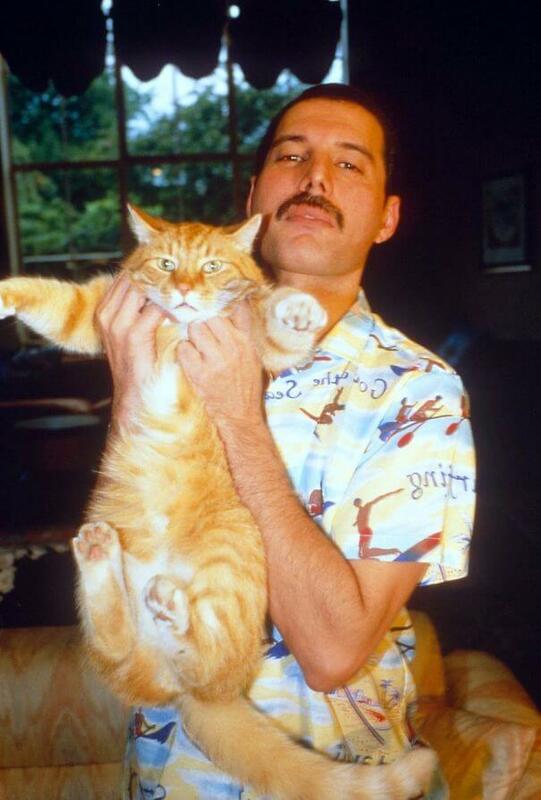 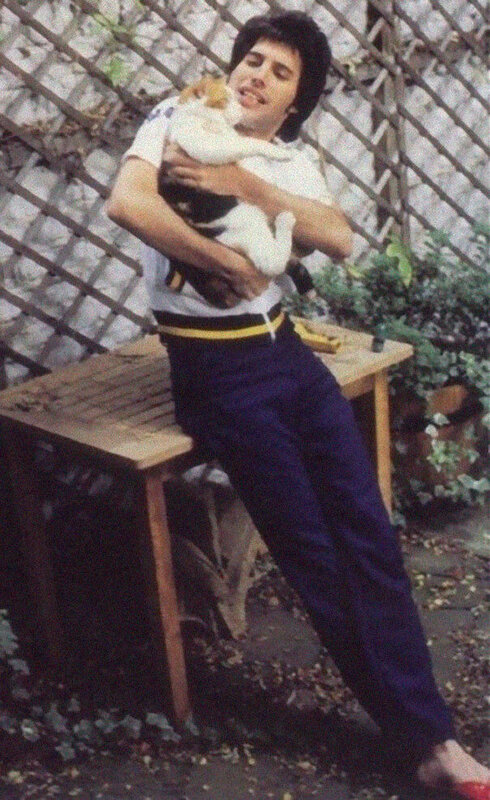 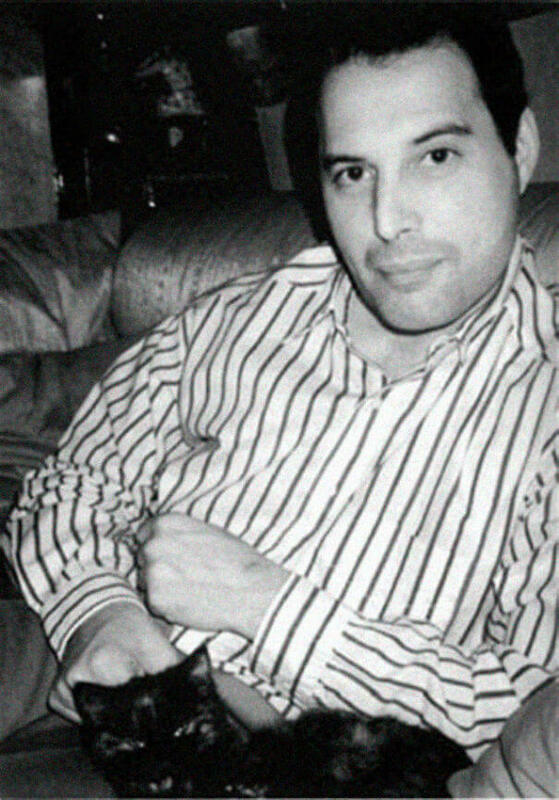 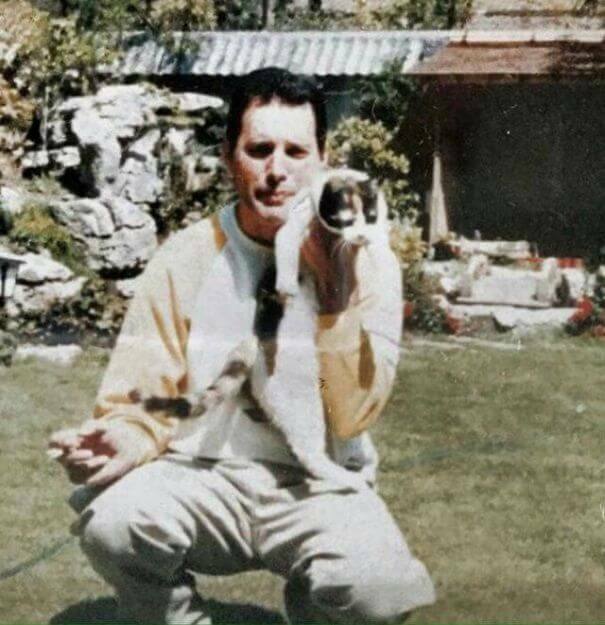 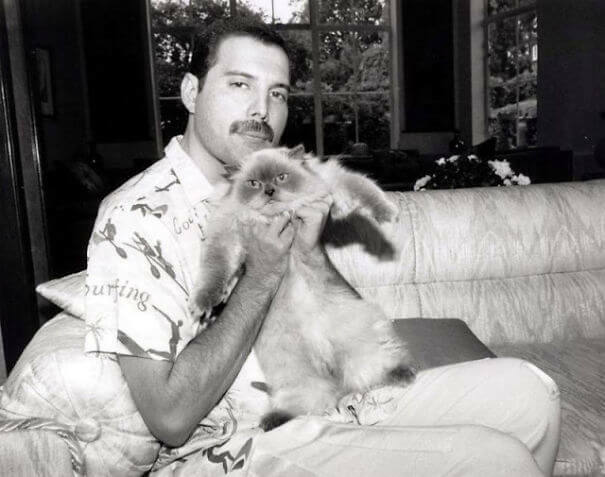 According to multiple biographers and his personal assistant Peter Freestone, while Freddie was out on tour with Queen, he would always call Austin to care for his four-legged pets. 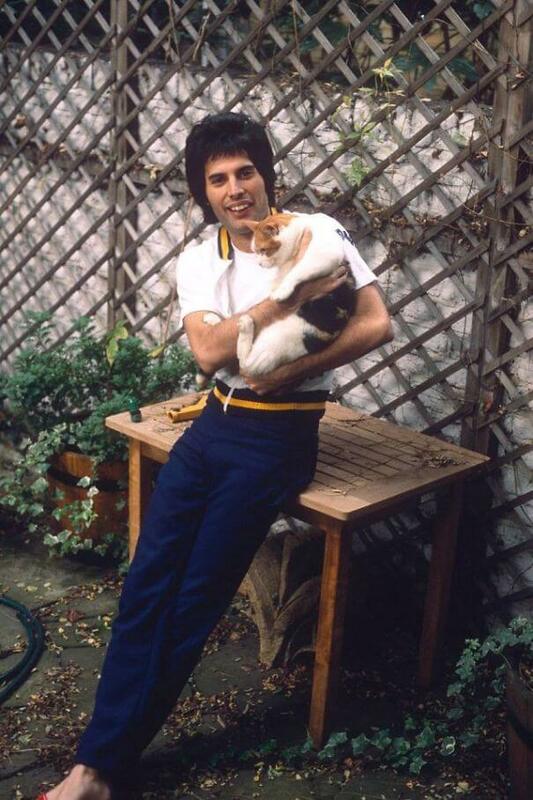 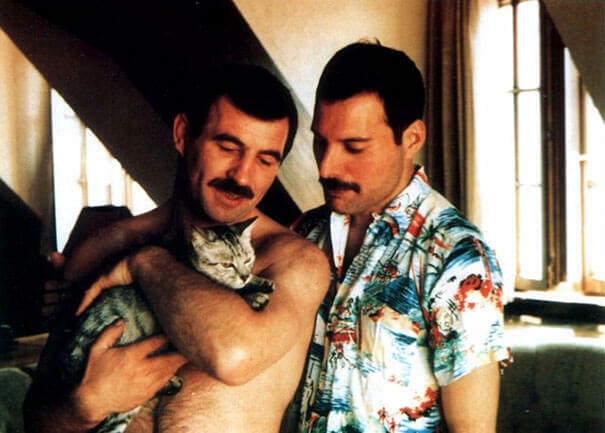 Mercury loved them all, but his absolute favorite was Delilah, a big, tri-colored tabby that was adopted in 1987. 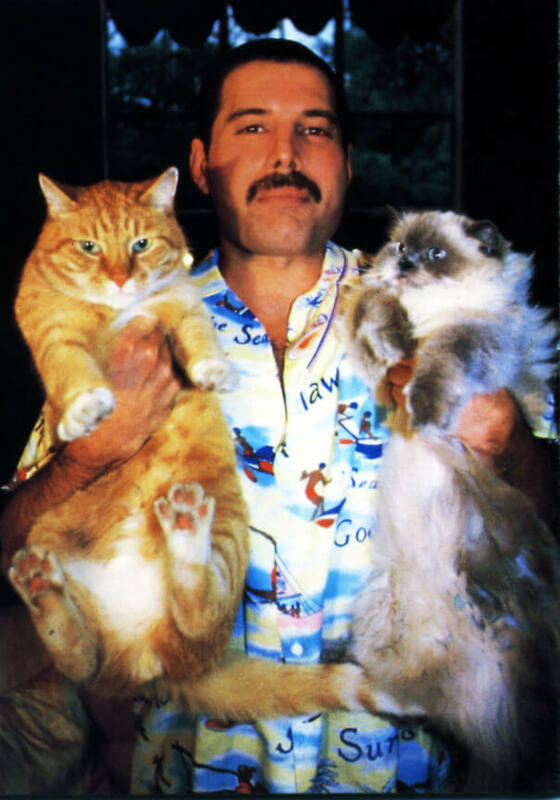 The Queen singer loved her so much that he dedicated a song for her in Innuendo, the band’s last album before Mercury’s passing. 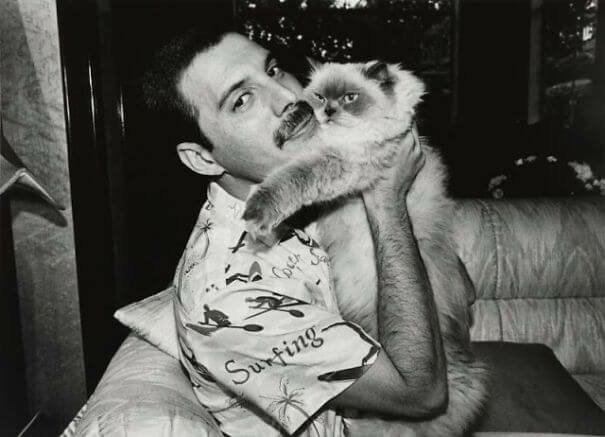 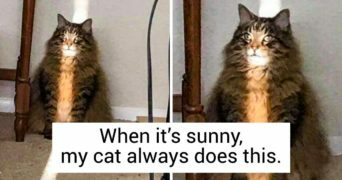 Some reports say that Mercury owned a total of 10 cats, Tiffany, Dorothy, Delilah, Goliath, Lily, Miko, Oscar, and Romeo. 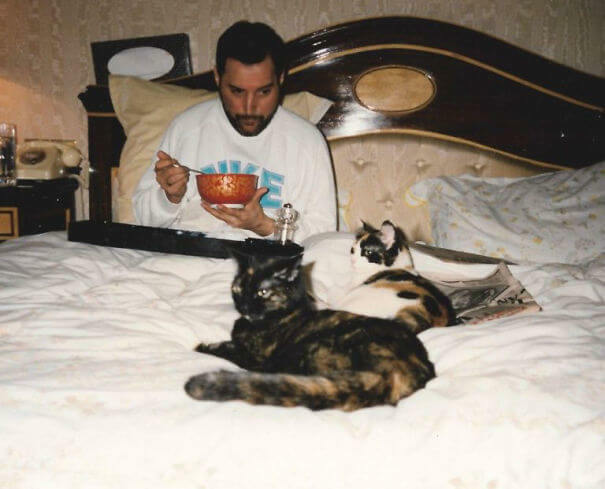 His cats were his family, and he treated them like his own children. 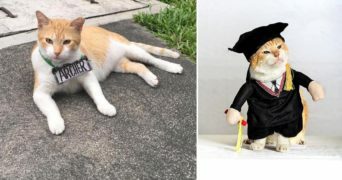 That is why he made sure each cat had his or her own gifts for Christmas.